Memory Foam Unisex Orthopedic Shoe Pads Trainer Foam. Three types of sizes are available. Reduces heel pain, shin pain, knee pain and back pain. Fore foot insole thickness: Approx. 0.4cm. Heel in soles thickness: Approx. 0.8cm. 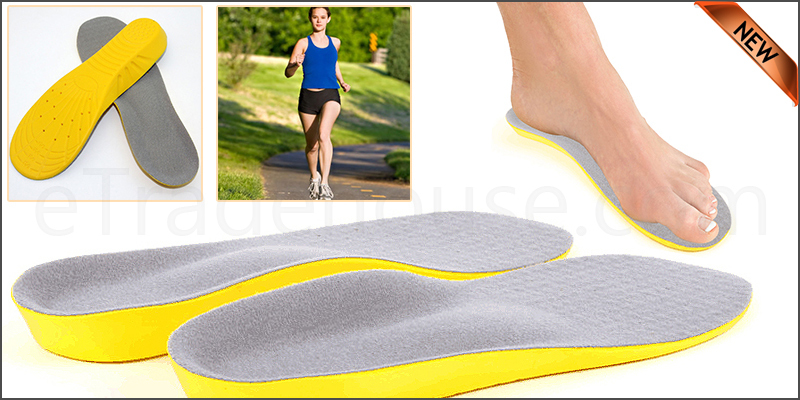 Pair of Medium Memory Foam Unisex Orthopedic Insoles.